The Royal Cornwall Pavilion is Art of Weddings’ flagship location, offering a contemporary space with views across the surrounding landscape. What better place to plan your wedding than here, courtesy of their much-anticipated event on Sunday 28th April (11am-3pm)? 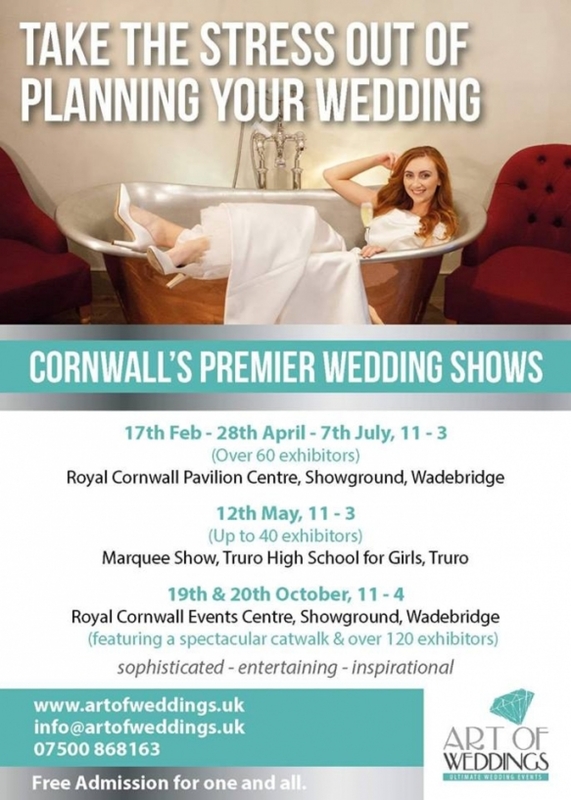 With over 60 exhibitors in attendance, expect a host of expert and talented suppliers and makers who will be on hand to offer a variety of services and products to help plan and provide for your perfect day. From a spectacular catwalk and workshops to demonstrations and live entertainment, it promises to be a thoroughly entertaining day out for the entire family. All venues selected by the wedding show specialists provide easy access, are child-friendly and offer plenty of free parking.